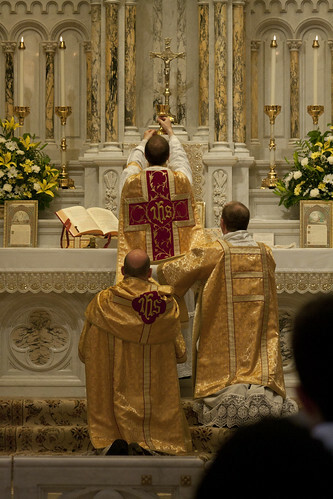 Fr Matthew McCarthy FSSP was ordained on Saturday 21st and on Sunday 22nd he said his first Mass: a Solemn Mass in the chapel of the Carmelite Convent of Jesus, Mary & Joseph at Valparaiso, a 30-minute drive from the FSSP Seminary. 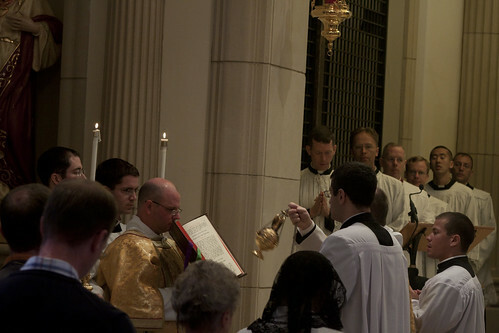 Distribution of communion to the Carmelites, through a grill. 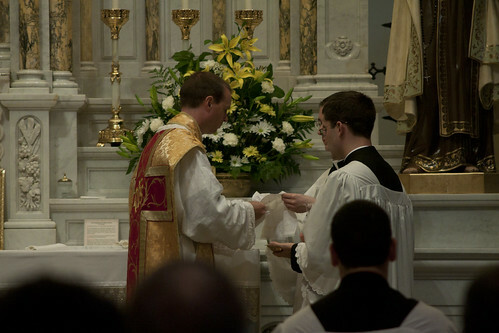 Fr McCarthy's deacon was Fr Matthew Goddard FSSP, another English Fraternity priest. 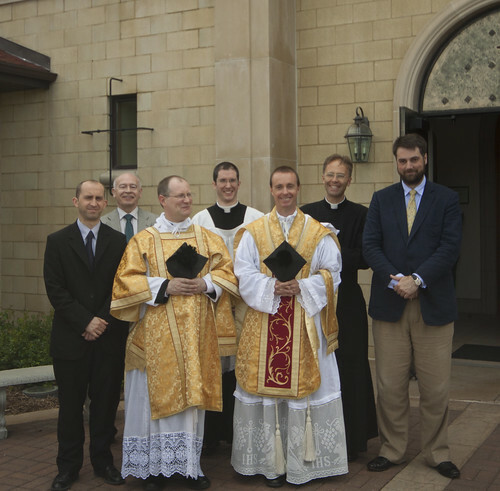 Fr Goddard is currently based in Ottawa, Canada, where the Fraternity have a long-standing and thriving apostolate. The chapel is classical in form and quite lovely. 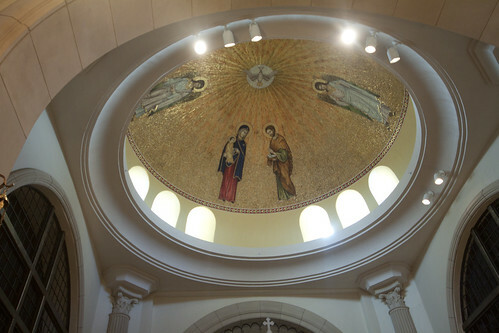 Here is the mosaic in the dome. 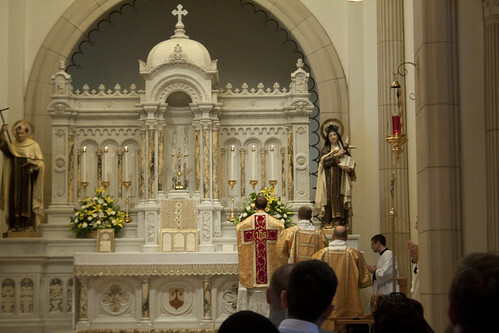 The altar comes from an abandoned church and was in storage for a long time before being installed here. 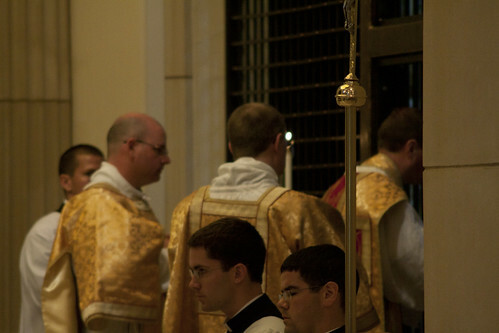 Relations between the Seminary and Convent are close. 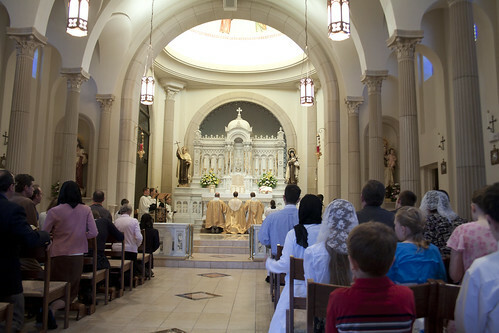 The Carmelites have re-adopted the Traditional Mass and Office, and three of them are sisters of young men in the Seminary up the road. I was privileged to see the Mother Superior and most of the community through the double grill; it was a truly heartening to see so many young women dedicating themselves to this contemplative vocation. Since arriving in Lincoln diocese they have made two foundations and more are being planned. 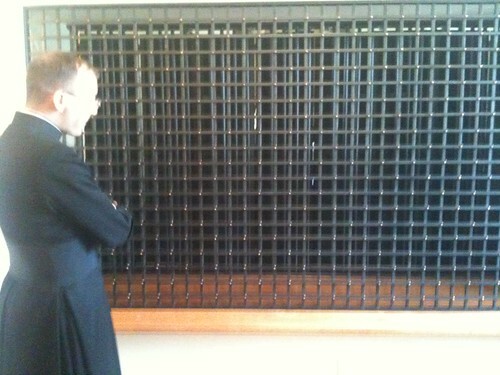 Here is the double grill, with a curtain behind it; the curtain was drawn aside and we were able to talk to the nuns. Please say a prayer for them; perhaps one day they will establish a foundation in the British Isles. There are more photos: slideshow, set. Soon I will post again about the Seminary. Praised be Jesus Christ! Beautiful pictures!! Actually they've just made one foundation in Elysburg, PA so far. But yes, I've heard more are on the way and they are again over the limit of 21 for a Discalced Carmel, so they are definitely planning another one. I've heard of one place where they were going to go before Elysburg .. so I'm wondering if they're still thinking of there .. time will tell. God bless!